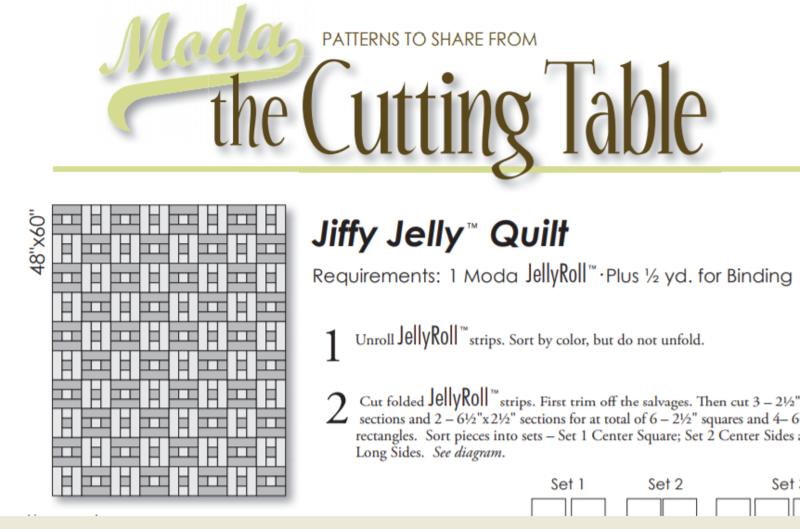 Home > Free Quilt Patterns > Free Pattern: Moda Jiffy Jelly Quilt - Turn 1 Jelly Roll into a quilt! Free pattern courtesy of Moda Fabrics. Make this easy quilt top with just one jelly roll and some binding fabric! A "jelly roll" is a roll of coordinating fabrics, cut 2 1/2" x WOF (width of fabric, typically 42"-44"). The great thing about jelly rolls, and pre-cut fabrics in general, is that it takes the guesswork out of picking fabrics - it's a sampler of fabrics guaranteed to go together, typically from a collection. AND the pre-cutting is already done for you. 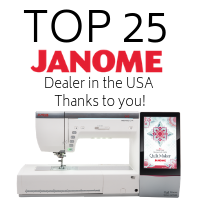 You just start "sub-cutting" to create the quilt. Finished size 48" x 60"